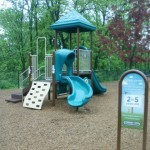 Thanks to Sharon D, for contributing this park during our Roving Reporter promotion! 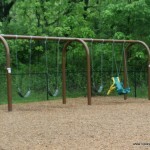 Station Park is a great big clean newly redone park with many things to do. 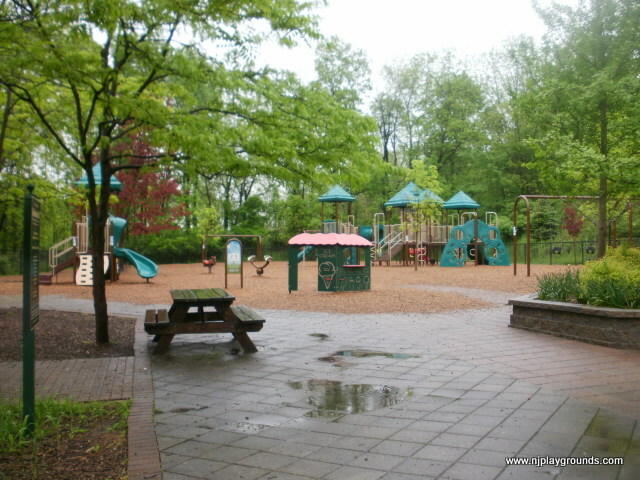 There are 2 play grounds- Kids Kastle which many people know and see upon entering the park, and a smaller, less known, little gem in the back of the park area. 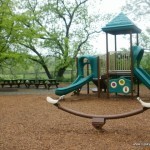 The park is clean, well maintained, spread out and easily a full day activity. 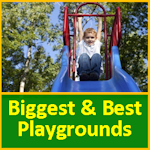 The larger play area does get hot on warm summer days- not a lot of shade and no breeze. 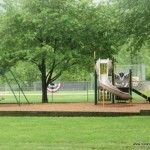 The park in the back is a lot smaller, however it is nicely shaded for those sunny days. The front park is fenced in on 3 sides, the back park has no fence around the play area. 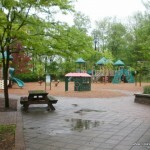 There is a lot to do at Station Park- enjoy the bike paths, the fields and the 2 playgrounds… after school hours it does get crowded with children and sports teams. 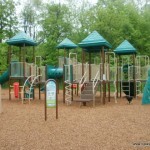 Climbing: In the front playground: Two appropriately sized equipments for the stated ages. 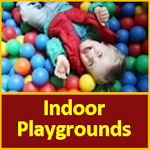 Larger one has a tunnel, several fun ways to climb up, drums, and a “wall” of circular holes that you can climb. The smaller equipment for the younger child has a “rock wall”, slides, and steering wheel and play things. 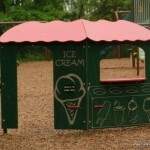 Slides: No independent slides, all are attached as part of the climbing play pieces. (A total of 5 in the front park and 2 in the pack). Hi, I would like to leave a comment (complaint)about Kids Kastle. I was there today and the park was a mess. Garbage disposal was turn down. there was garbage all over the place and one of the picnic tables was draged along one of the games and it looked it was used for other purpose. It looks like some bad kids hang out there leaving all these mess. It looks like the park has not been attended. It is a shame. its nice there and it have good games for kids. please forward to the right person to see if somebody can take care of the park. Wow I was thinking about taking my granchild there tomorrow. I used to take my kids there years ago but after reading this i’m not so sure.